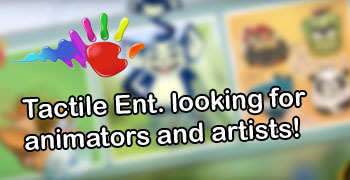 Tactile Entertainment (Mafia Planet, Pigs in Trees, Saving Yello), are currently looking for animators and 3D artists for an undisclosed project in august / september. So send Asbjørn an email, if you're up for working on some cool game projects to asbjoern [at] tactile.dk with showreel! Tactile is located in Copenhagen.